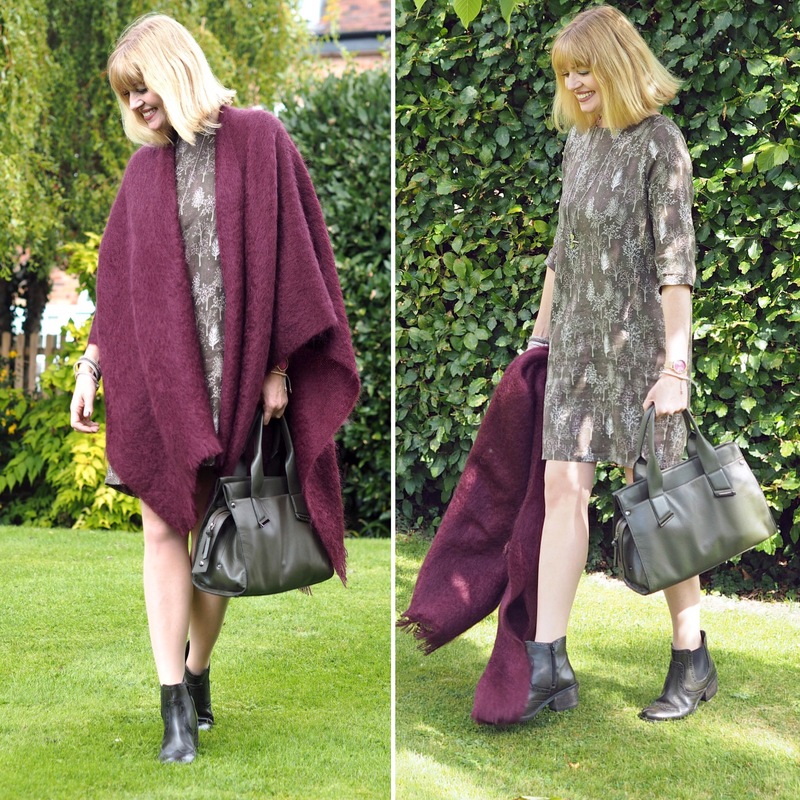 Five Ways To Style A Serape And An Overview of Samuel Tweed Fabrics. The first time I wore a serape was with jeans and short wellies and it got a lot of lovely compliments. Since then, I’ve come to realise that it’s an incredibly versatile wardrobe addition. I didn’t know how many ways there are to style a serape! A serape is defined as a blanket-like shawl, often made from wool, which drapes around the shoulders. 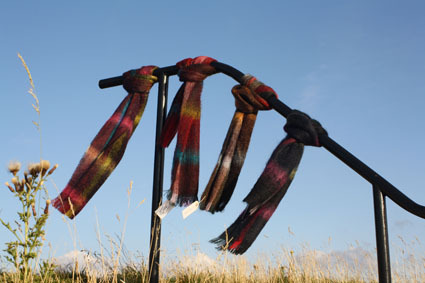 Ordinarily, I avoid wearing any type of wool, including cashmere and mohair, because it irritates. Therefore, it came as a pleasant surprise to find that this mohair doesn’t scratch at all. It’s incredibly soft and cosy. Like wearing a hug. This was the first time I wore the ecru serape. This is a very casual and cosy look and one that I’ll revisit over and over. 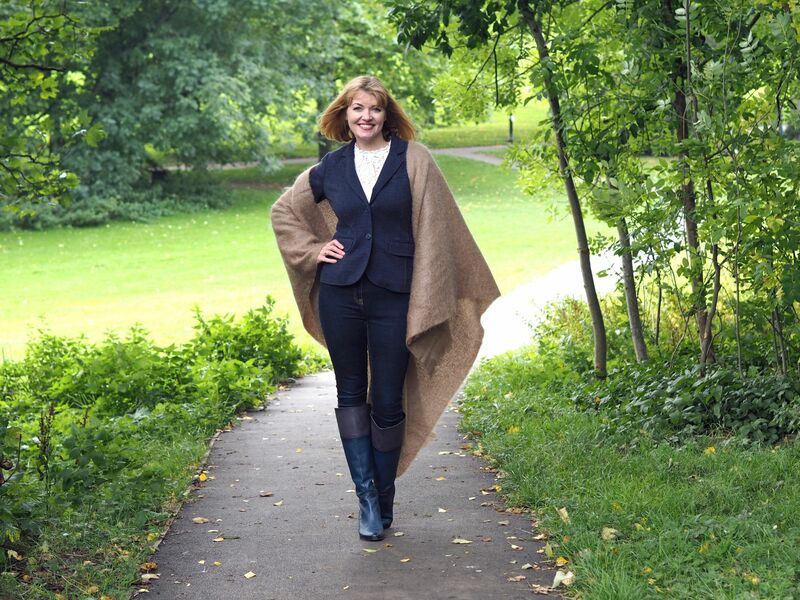 A serape is ideal for popping over jeans and wellies for an autumn walk. I love the equestrian look and I think this outfit has a nod to the ’90s which is enjoying a resurgence right now. This camel-coloured serape is understated and elegant and is an excellent neutral which can be teamed in a classic way, for example with navy. Imagine it though with leopard print or pale blue. There are very few colours or prints that camel doesn’t work with so this would be an excellent investment. When the weather is changeable, it can be difficult to know what to wear as an outer layer. I don’t feel quite ready to get my winter coat out but there’s been a definite need for an additional layer of late. A serape is less confining than a jacket and can be draped loosely around the shoulders and pulled tighter when required. It’s also a lot easier to carry than a jacket if the sun puts in an appearance. This colour of this one is divine. Rich yet subtle. That’s the beauty of top quality mohair; it takes dye beautifully. 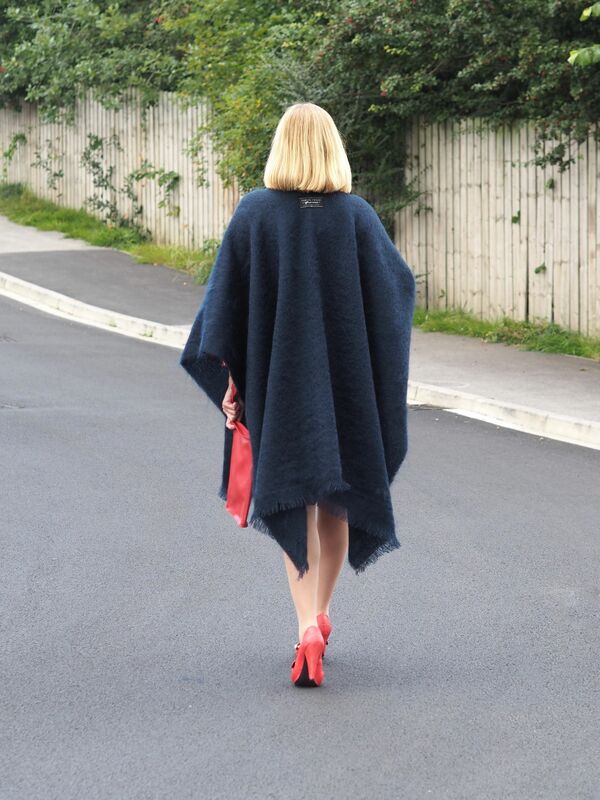 A serape in a darker colour such as navy or black is ideal for teaming with a smart dress for an evening look. It’s much warmer than a pashmina- perfect for the taxi ride home. 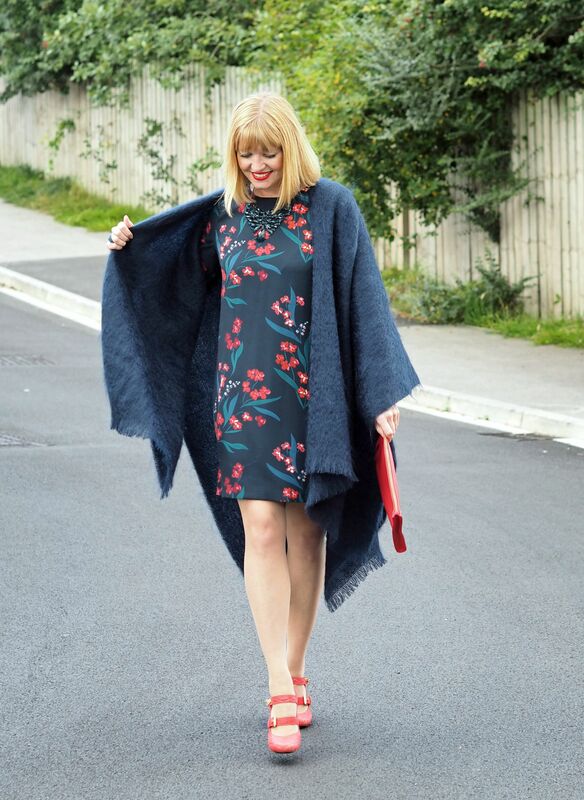 This is my favourite way of styling a serape. It’s a little unexpected. 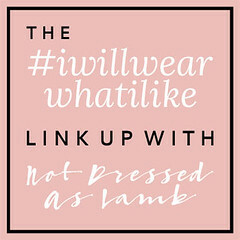 It’s elegant, not a word one would usually associate with wearing a woollen blanket! The key to styling a serape with a belt is to keep the bottom half slim and neat. It wouldn’t work as well with a dress for example because there would be too much fabric. From a practical point of view too, it means the serape stays in place, especially if walking and carrying a clutch. 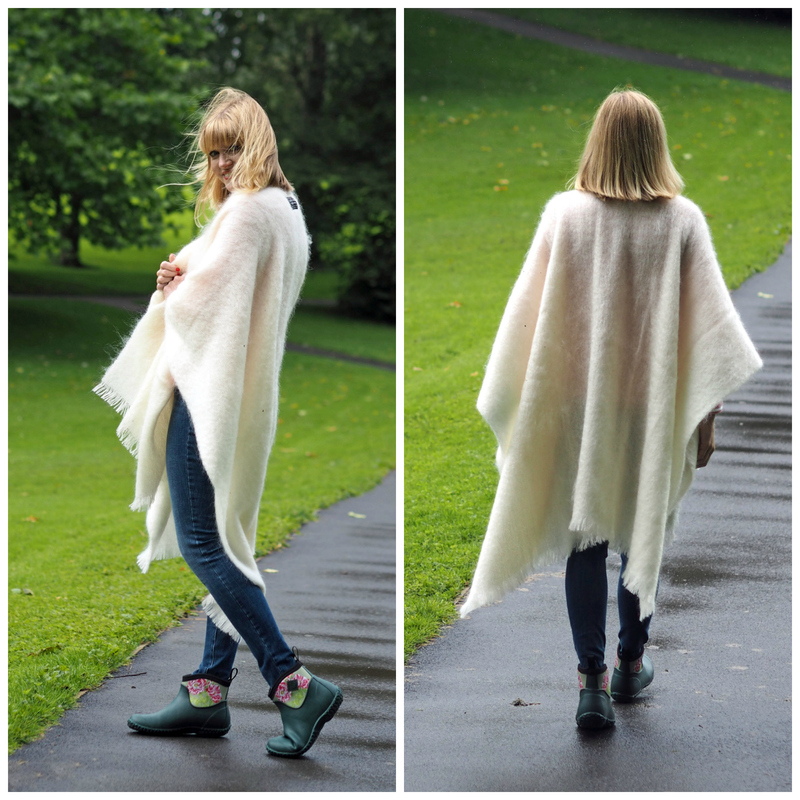 I love how the mohair reflects light. If this were a flatter fabric such as felt, the black would look too austere against my fair colouring. For that reason that I don’t wear black very often, but the sheen softens the look and makes it very flattering. 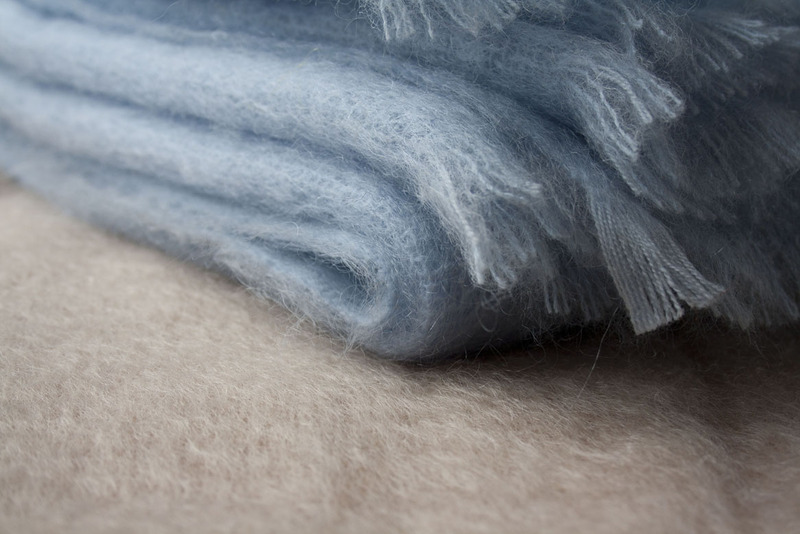 The mohair fabric is manufactured in the UK by a Yorkshire-based family business called Samuel Tweed Fabrics, a company synonymous with luxury mohair. They have shipped their apparel fabrics to Europe’s top fashion houses, including Dior, Prada and Ninna Ricci among others since the 1950s and to huge British brands Boden and Topshop. I relish collaborating with local brands. Here in the North, we do miss out sometimes. Most brand headquarters are based in London and that’s where meetings and press shows are held. It’s simply not commutable. Therefore, when company director John Harrison contacted me to see if I would like to meet, here in Skipton, to discuss this partnership, I was very excited He is a designer by profession and has worked in the fashion/fabric industry his whole career. It was his idea to style the serape with a belt actually! He’s a great guy and I’ve enjoyed every meeting and every moment working with him. It is such a privilege to meet people behind their brand and to get an insight and understanding about the company and its ethos. 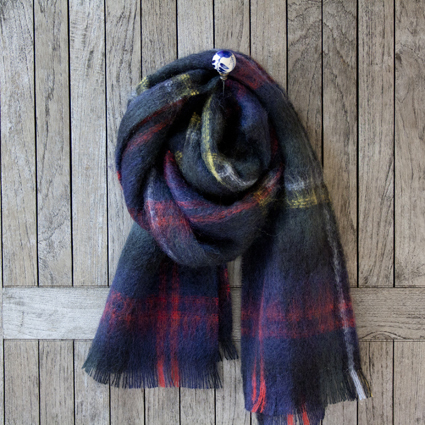 Samuel Tweed fabrics sells the most divine throws, mohair scarves and serapes in a range of colours- both plains and plaids. As I mentioned earlier, mohair takes dye beautifully, a fact evident in the richness of the colours. The plaid scarves are timeless and the mix of colours is divine. Head over to their website to see the full range of scarves. They’re perfect for men as well as women and make a beautiful gift. 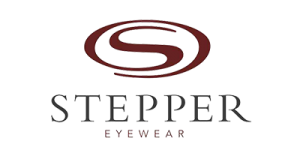 The serapes are currently available in ecru, dark navy, claret, camel and black but Samuel Tweed Fabrics will manufacture one in any of the 40 plus colours they hold in stock. I’d like to thank Samuel Tweed Fabrics for commissioning and sponsoring this post. All of my opinions are 100% honest and all content is my own. I’m very grateful that you support the brands that support What Lizzy Loves, especially when they’re local family businesses. The serapes look great Lizzy. Beautiful styling with all the outfits. I wear a lot of ponchos but never considered a serape because I thought it might look like a blanket. But you’ve shown how stylish they can look. I absolutely love the last look! Fabulous! I have a simular none and I love to wear it because it is so cozy and warm! Beautiful looks! Great mix of elegance, informality, warmth … I love your hairstyle with curls. WOW I LOVE this, Lizzy!! I’d never even heard of a serape before (I actually wondered if you’d made a spelling mistake LOL) but now I know them, I realise I need one in my wardrobe. And those colours… oooh they’re gorgeous. I’m particularly in love with the deep red wine colour, that’s simply divine. I love it belted too – absolutely beautiful. And the fact that it’s a Yorkshire brand is the icing on the cake. Love it! All of your looks are gorgeous! I think I love the black belted look best.